Gear Acquisition Syndrome (or G.A.S.) is real, and we know it, right? No matter if you’re trying to fight yours or you have embraced it, Taylor Jackson now has a fun song for all the gear maniacs out there. Try not having it stuck in your head! Filmstro is something of a unique service when it comes to music. With plugins for both Premiere Pro and Final Cut Pro, you can pick your music and then use sliders to adjust the momentum, depth and power of that music throughout your clip. You can adjust any tune to match the mood of your scene as it changes from shot to shot. But they have static versions of all their Royalty Free music, too, and they’ve just released them to the world for free for use on YouTube. Even if your video is monetised. Other than having a good microphone to pick up voices, sound is something that new filmmakers often ignore. But sound is easily as important as the visual, if not more so, when it comes to video production. 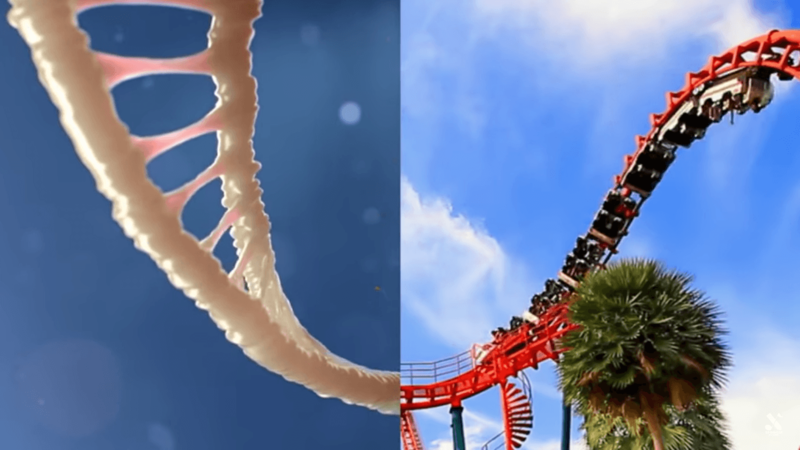 Sound sets the mood and tone for the video as a whole, or for individual scenes. It can create tension and excitement. Or, it can make the viewer feel comfortable and relaxed. In this video, young filmmaker and YouTuber Rory Marion talks us through some of his tips and tricks for the sound design process. It begins with selecting music and adding audio effects to enhance the visual. At only 14, Rory may still be young, but he has some good insight and a promising future. It’s May and catchy Christmas carols are finally out our heads. Even though it’s out of season, photographer Ed Gregory decided to sing one of the Christmas songs on his YouTube channel. But it comes with a twist – he made it about photography. 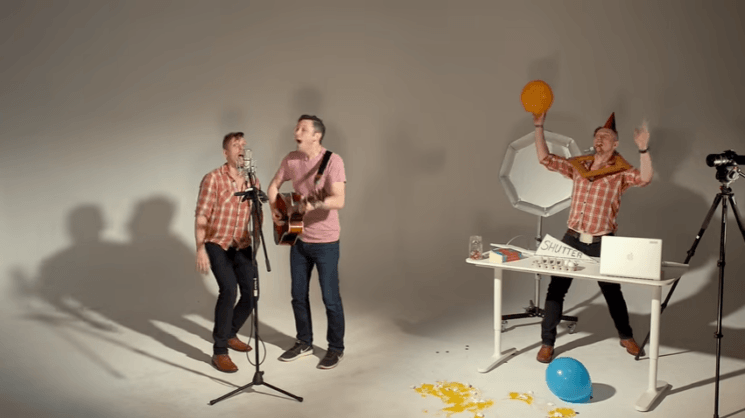 “12 Days of Photography” fits 12 photography tips into a 4-minute song. And while he and his buddy Dan Cooper have fun singing, Ed Gregory’s clone has troubles keeping up with them and demonstrating all the tips. If you’re a photography newbie, this is a certain way to memorize some of the rules. And for those of you who are more experienced – this will cheer you up if you’re having a bad day. Josh Klinghoffer, the guitar player of Red Hot Chili Peppers, got fed up with the audience filming the concert with their phones. 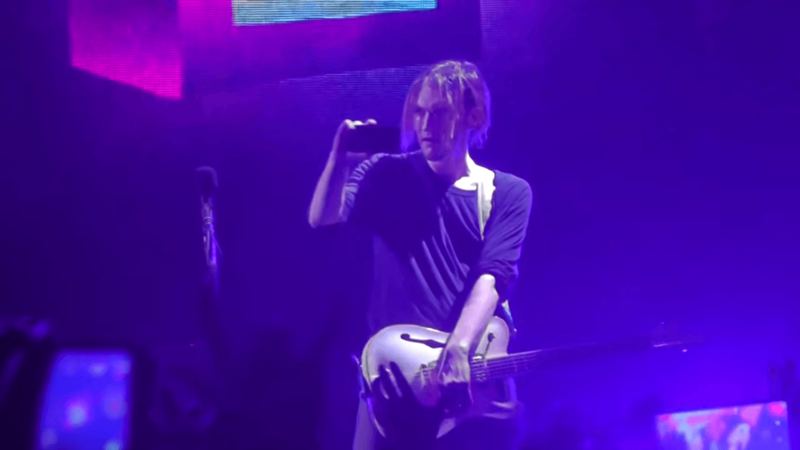 Instead of playing the solo in “Californication”, he grabs his own smartphone and starts filming the crowd to make a statement.